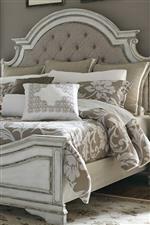 This beautiful headboard adds formal elegance to your bedroom space. Upholstered and tufted, the headboard features timeless wood accents that showcases vintage, rustic style. 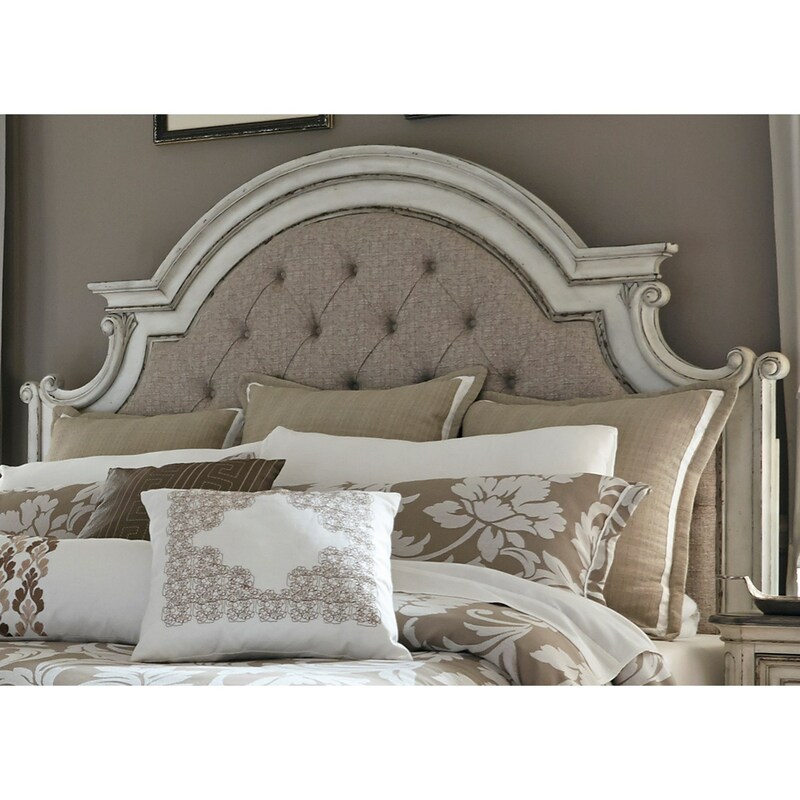 The Magnolia Manor King Upholstered Panel Headboard by Liberty Furniture at Miskelly Furniture in the Jackson, Pearl, Madison, Ridgeland, Flowood Mississippi area. Product availability may vary. Contact us for the most current availability on this product.